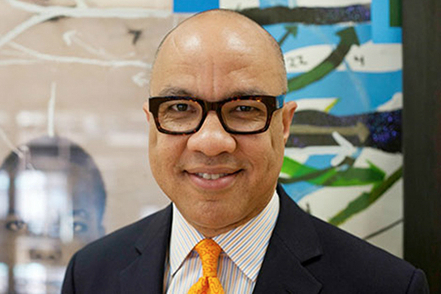 The Ford Foundation plans to commit up to $1 billion of its $12-billion endowment during the next 10 years to mission-related investments (MRIs). Early efforts will target the foundation’s mission of inequality, examining investments that make housing more affordable and inclusive in the United States. In developing countries, the foundation will look at how MRIs can expand access to financial services for low-income and underserved communities. “While this field is still emerging, we are making this commitment because we believe MRIs are the next great tool for social transformation, in philanthropy, and beyond,” Walker wrote. “If philanthropy’s last half-century was about optimizing the 5 percent, its next half-century will be about beginning to harness the 95 percent as well, carefully and creatively,” he wrote. As with most foundations, Ford’s impact-related work has remained almost entirely separate from the way it stewards its endowment. “While most of our work is grant making, the vast majority of our assets are actually financial investments,” he wrote. MRIs aim for attractive financial returns while advancing the mission but unlike program related investments (PRIs) can bring to bear large amounts of capital in the service of multiple bottom lines, Walker said. “At its most basic level, philanthropy always has been about directing financial capital to solve social problems,” he said. Foundations are required to pay out a minimum of 5 percent of total assets annually, which for Ford means about $500 million to $550 million. The other 95 percent of assets are put to work in the investment market, with the goal of earning returns to sustain grant-making over time, he said. The decision by Ford’s Board of Trustees “represents the next step in a long march that stretches back to the very beginnings of impact investing,” Walker said. In April 1967, staff presented a report called “Program-Directed Investments,” to trustees that argued that philanthropy was about more than grant making. The foundation has since directed more than $670 million in PRIs, which allow Ford to take risks consistent with its mission in ways that much larger investors, such as banks and pension funds, often cannot or will not, according to Walker. Walker gave a nod to those foundations that pioneered the use of MRIs, including F.B. Heron Foundation, Rockefeller Foundation, Kellogg Foundation, John D. and Catherine T. MacArthur Foundation, Kresge Foundation, McKnight Foundation, and the Bill & Melinda Gates Foundation, among others. There are three reasons why most foundations have not invested endowments into MRIs, according to Walker. Until there clarification by the U.S. Treasury last year, there was uncertainty about the legality of MRIs. There also was the question of whether enough evidence exists that MRIs yield financial or social returns. “if we hope to answer [that] question, it is our responsibility to put more of our money where our mouths are,” he said. Questions about the Ford Foundation’s MRI investments can be sent to MRI@fordfoundation.org. The foundation will host a Facebook Live chat on April 12 at 12:30 p.m. with Vice President for Economic Opportunity and Markets Xavier de Souza Briggs discussing its commitment to MRIs.